The VI Toolkit (for Windows) provides a powerful yet simple command line interface for task based management of the VMware Infrastructure platform. Windows Administrators can easily manage and deploy the VMware Infrastructure with a familiar, simple to use command line interface. The VI Toolkit (for Windows) is a tool that system administrators and developers can use to automate the management of VMware Virtual Infrastructure. With the VI Toolkit (for Windows), many tedious and time-consuming tasks can be completely automated in as little as one line of code. The VI Toolkit (for Windows) takes advantage of Windows PowerShell and .NET to bring unprecedented ease of management and automation to the Virtual Infrastructure platform. The VI Toolkit (for Windows) provides 125 PowerShell cmdlets that cover all aspects of Virtual Infrastructure management. Disconnecting or removing all Floppy or CD-ROM drives from all Virtual Machines. Moving large numbers of Virtual Machines from one virtual switch to another. Migrating large numbers of Virtual Machines between ESX hosts. 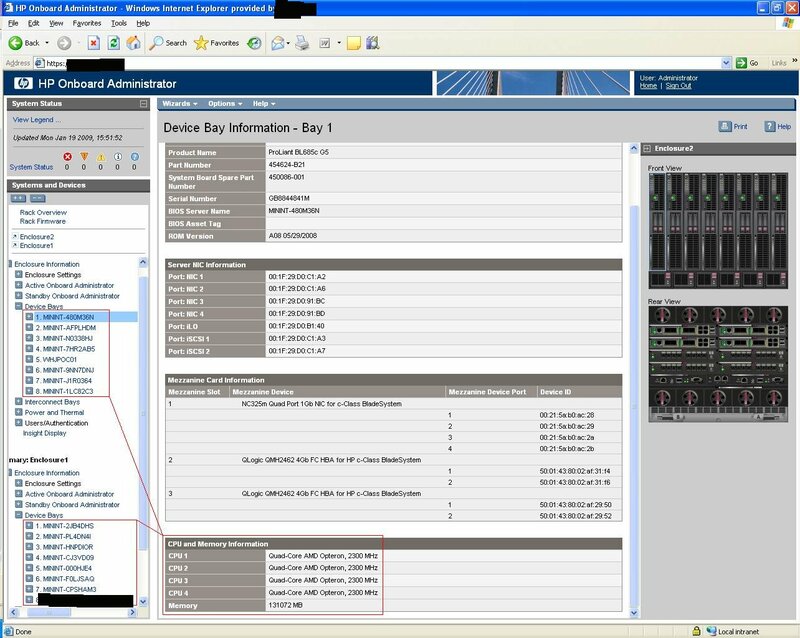 Reports and monitoring across the entire Virtual Infrastructure. The following tables lists the software pre-requisites and the location to each installer. This guide focuses on the most recent releases as dated 05/02/2009, which are Windows PowerShell V2 CTP3, VI Toolkit (for Windows) version 1.5 and the VI Toolkit Community Extensions build 46896. Another pre-requisite that is also recommended for general administration is Notepad++. This is used to create and edit scripts that can be run with the VI Toolkit. Notepad++ can be downloaded from here. There are three installation tasks that need to be performed before you can start using the VI-Toolkit to manage a VMware Infrastructure. Windows PowerShell. The VI Toolkit 1.5 (for Windows) requires Microsoft PowerShell V2 CTP 3. Please download it from here. VI Toolkit (for Windows). Can be downloaded from here. VI Toolkit Community Extensions. Can be downloaded from here. The procedures below go through in detail how to get the VI-Toolkit up and running after installation. Once installed the icon below will be available on the Windows Desktop. DO NOT LAUNCH IT YET! 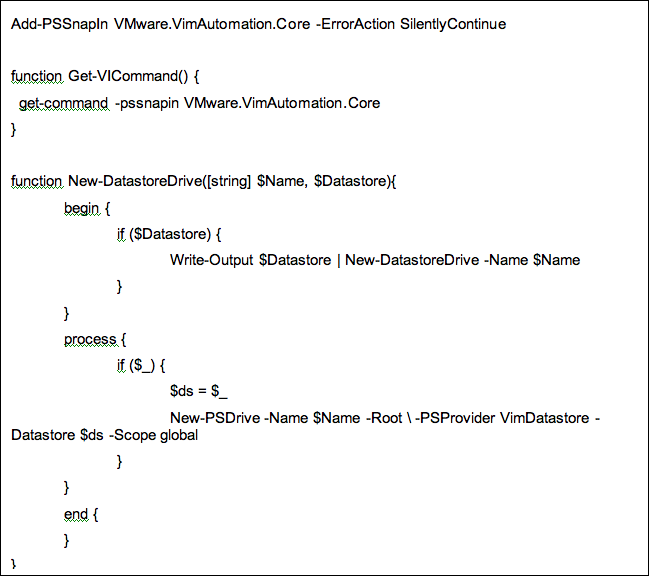 Before launching the VMware VI Toolkit application, you must first set up your PowerShell profile. The new desktop shortcut does two things for you: it starts powershell with the VI Toolkit snapin loaded and it runs a script which modifies the look of the Powershell window and adds some cool extra functions. If you want to have the same functionality in your normal Powershell window and your scripts, you have to copy some stuff to your Powershell profile. 3. If it returned True then you already have a profile file. If it returned False, then proceed to the next step. 5. If an error is returned then create a WindowsPowerShell directory under your My Documents folder and then repeat step 4. The Set-ExecutionPolicy changes the user preference for the execution policy of the shell. The execution policy is part of the security strategy of Windows PowerShell. It determines whether you can load configuration files (including your Windows PowerShell profile) and run scripts, and it determines which scripts, if any, must be digitally signed before they will run. get-executionpolicy will return the current execution policy. The default ExecutionPolicy is Restricted. Unrestricted is unnecessarily risky. Set-ExecutionPolicy RemoteSignedis more secure and works for VI Toolkit 1.5. The VI Toolkit for Windows Community Extensions is a PowerShell module designed to work with the VI Toolkit for Windows. Now you are ready to start using the VI Toolit by either logging into a vCenter environment or by launching scripts. The vSphere Host Update Utility 4.0 is an application that is installed as part of the vSphere vCenter installation package. To start the upgrade process, launch the vSphere Host Update Utility. The vSphere Host Update Utility will request confirmation to connect to the VMware patch repository. Add the host to the update utility by clicking on Host | Add Host. Type in the FQDN or IP address of the host you wish to upgrade then click on Add. Now click on the Upgrade button to start the upgrade wizard. Next browse to the location of your vSphere ISO file then click on Next. Enter the root credentials then press Next. The Host compatibility check will perform some checks and will allow the upgrade to continue if the host meets the criteria. Next select a local datastore (recommended) to store the disk file for the Console OS and also select the disk size. Once complete, reconnect the host in vCenter to install the new vCenter Agent. Following on from vinternals post about what a terrabyte of RAM looked like. Here is what 2Tb of RAM looks like installed in 16 BL685c servers.